Nothing builds hype like trademarks being filed. We’ve had some trademarks filed already this year and it seems like EA is one of the latest companies to do so. It was filed last month according to Justia and the filing can also reportedly be seen on the USPTO website. The classification of the listing gives us an extremely vague idea of what is coming, as it falls under computer games. Whether this new trademark is going to be a remaster or sequel is just speculation considering EA has not made an official comment as of writing. For those unfamiliar with Jade Empire, it is an action RPG based around Chinese mythology with gameplay that is similar to Star Wars: Knights of the Old Republic. This isn’t just a weird coincidence as both were developed by BioWare. If you haven’t heard of the Jade Empire, that isn’t too odd considering it was originally released at the end of the Xbox’s lifespan in 2005. While it was received fairly well by critics, the game didn’t sell too well due to the fact it released so late in the system’s lifespan and the litany of other titles that released around the same time. Since the release of the game, it has also come to Xbox 360, PC, macOS, and mobile platforms such as Android and iOS. If you’re interested in picking up Jade Empire on Steam to prepare for a potential upcoming game, it is on sale thanks to the Steam Lunar Sale. It should be noted that the version available on Steam is a bit different than the version that was released over a decade ago. This version adds new fighting styles, new enemies, better AI, improved textures, reworked controls, and more. None of these additions seem like anything to complain about. 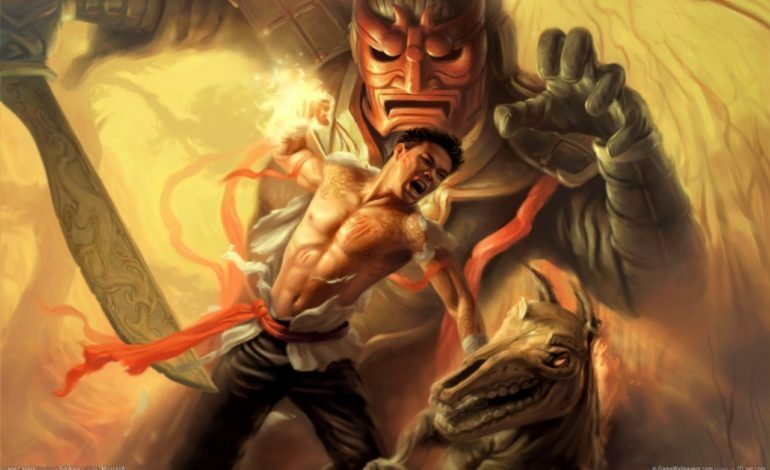 You can get Jade Empire: Special Edition here.